Due to an increase in clients leaving the caravan in a very unsatisfactory condition. A deposit of £50 will be required upon booking and if the caravan once inspected if left as it was found,will be refunded. The full balance will be payable four weeks before holiday. Balances can be paid in instalments to make spreading the cost of your holiday an option if you require. 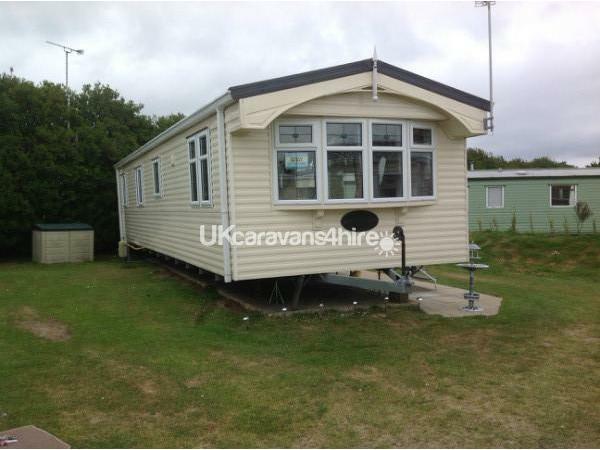 A modern 2004 caravan 38ft x 12ft, 3 bedroom, 8 berth pet friendly Caravan for hire Set in a superb country side location, sited at Cherry Tree Holiday Park, Burgh Castle,Great Yarmouth. 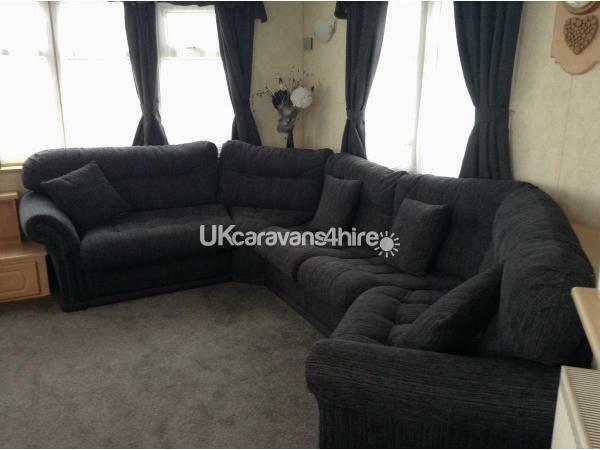 Roomy lounge with TV DVD & Freeview. 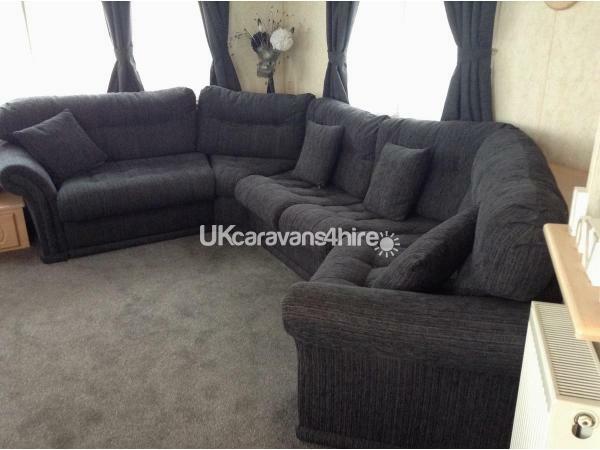 Double pull out sofa bed. Separate dining area with seating. Fully equipped kitchen with gas cooker and oven,fridge freezer and all standard kitchen essentials, microwave toaster,kettle,iron,and ironing board etc. There are lots of facilities on the park, ie indoor and outdoor swimming pools gym, sports courts and arcades. 2 children's outdoor play areas. Pool tables Dart boards, with lots of fun activites on the site for all ages. There are lots of things to do and see in the surrounding area ie beaches fun fairs and theme parks arcades sea life centre casino's restaurants museums live shows and race courses, Please check at www.parkdean.co.uk for all facilities on and around the site. Cherry Tree Holiday Park facilities require Entertainment passes which can be purchased from the main reception. Prices £10 peak £8 off peak per week per person. Under 2's free. (Prices subject to change). Duvet and pillows are provided you just need to bring duvet cover pillowcases sheet and towels . You can also check us out on facebook by searching cheap holiday homes. We have just returned from a lovely week at this caravan. The booking procedure with Sue was very easy and she answered any questions we had before our stay promptly. 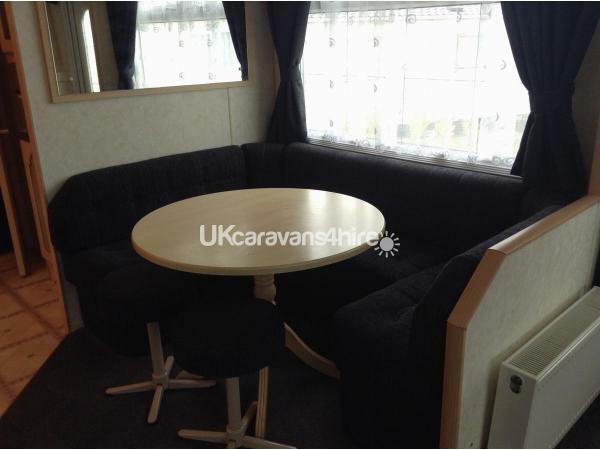 Upon arrival the caravan was clean and tidy and we found the caravan to be very comfortable and well equipped, with a lovely refurbished lounge area. The location of the caravan is perfect, on a nice, quiet plot just a short walk from the swimming pool and club house. The site itself is very well maintained with great facilities. 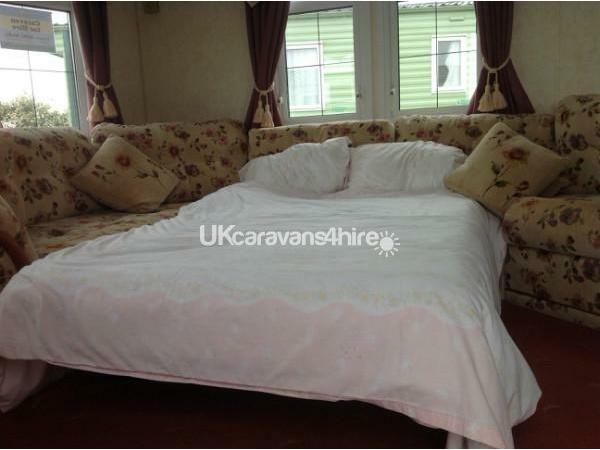 We would have no hesitation booking this caravan again. lovely week with the hottest weather which always helps .park facilities are and club entertainment was brilliant. couldn't fault anything .and sue was a pleasure to deal with defiantly recommend this caravan. 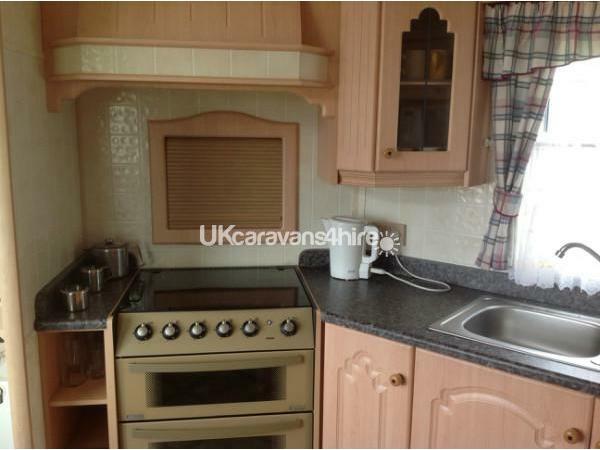 This caravan was absolutely lovely well worth every penny immaculate condition you cannot fault it anyone hiring this will NOT be disappointed it has everything you need inside thank you sue for letting us hire your lovely caravan it would highly recommend this holiday home and Sue is brilliant to deal with ???? 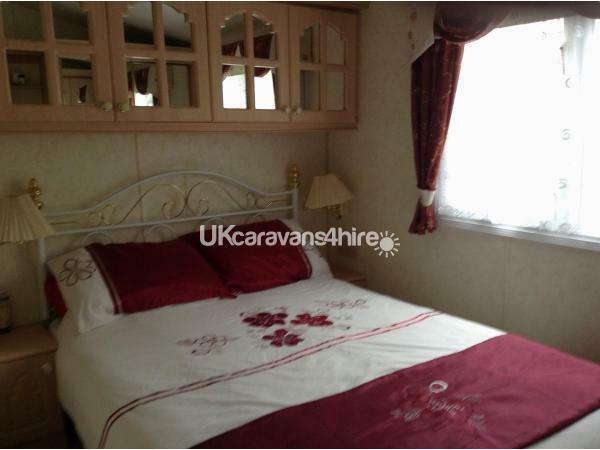 The caravan was lovely, very clean and stylish with recent refurbishment. The site is great with plenty to do, and entertainment for both kids and adults to make a great evening. Would highly recommend this caravan and will definitely be returning. Thanks Sue. 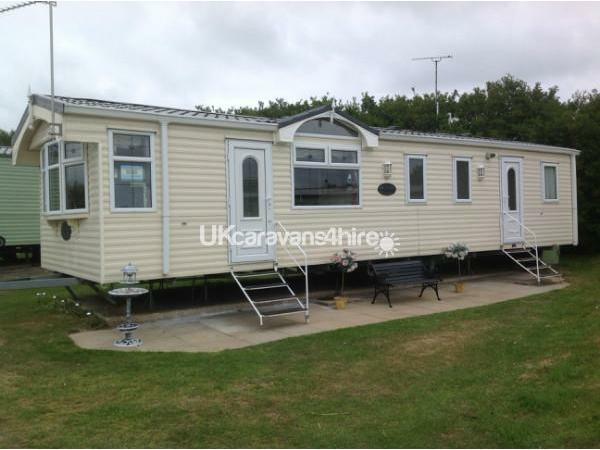 As other reviewer have said, this caravan is fantastic from all aspects, spacious, comfortable, (best double bed I have slept in in a caravan). Shower is brilliant. Kitchen has everything you could need. Location on the site is lovely and quiet too. No problems dealing with the owner Sue, booking process was extremely straight forward. I would definitely recommend this caravan. As value for money I don’t think it could be beaten. Great value caravan in a nice plot no cars going by. Only small fault no cleaning materials but the holiday was great. Thoroughly enjoyed our short break. Caravan nicely tucked in a quiet corner so no cars driving past. Everything you could need and owner good to deal with.Recommended !! another great stay 2nd year in a row we used the caravan and still can not fault it. Hope to book again next year. Had a great break staying in this caravan . 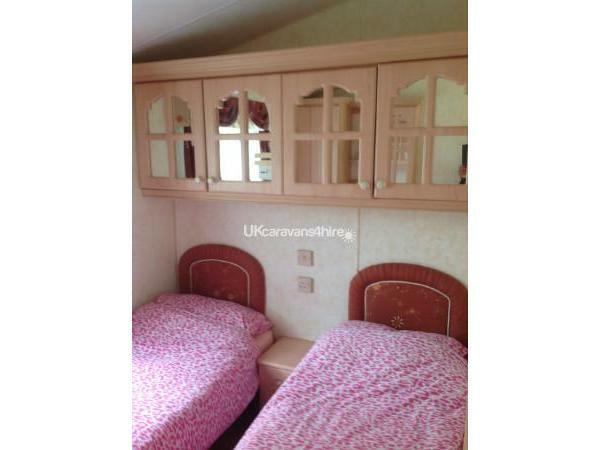 Great quiet location on site nice corner plot , caravan has lots of space great double size shower . Kitchen had all the utensils etc you need . Only one slight down side sitting area a little tired and worn , however this did not put me off. Very easy transaction with owner who was always willing to answer any queries , we are already to book again . ? Fantastic holiday, caravan was perfect! 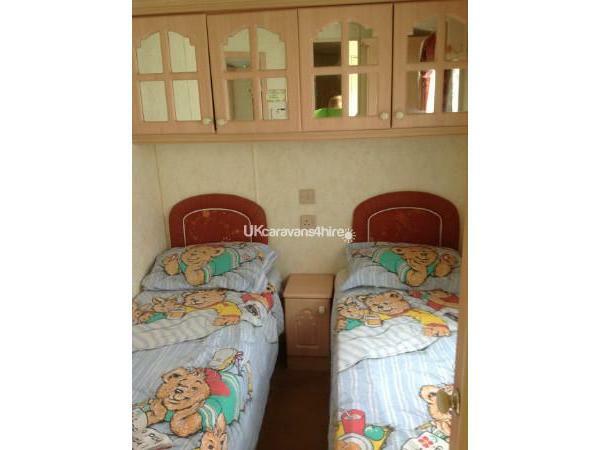 Beds comfy, lovely big shower, family size fridge/freezer and set in a quiet area of the site. Fab site, lovely warm pool with lovely friendly staff. We will be back! GREAT HOLIDAY CARAVAN HAD NEARLY EVERYTHING WE WANTED. SITE AND ENTERTAINMENT WAS OK, DID NOT USE THE AS WE HAD OUR DOG BUT PLENTY OF PEACE AND QUIET AND THE WEATHER WAS GREAT. WOULD RECOMMEND THIS TO EVERYONE WE KNOW. THANK YOU VERY MUCH SUE. 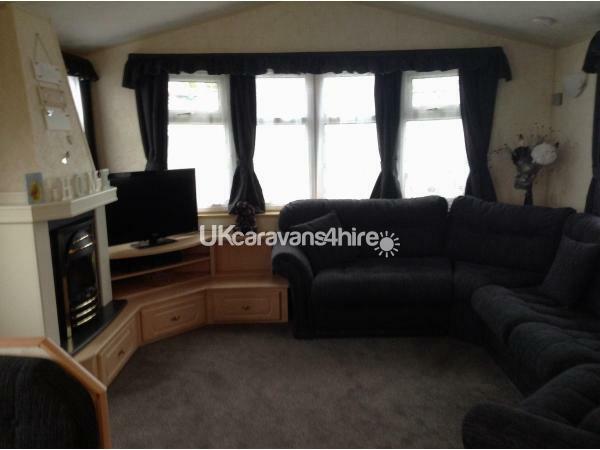 a lovely well appointed clean caravan , situated on a quiet area of the site to ensure a peaceful relaxing holiday . We stayed in sue's caravan last summer and we all had a ball . Sue is really nice and great to deal with . Definitely recommend this caravan and the park , great facilities , great food . Loved it so much we are booking to go this year again . Very good value for money. Adequately equipped. Lots for the children to do. Entertainment was ok for adults the children loved it. Found the showers in the pool cool but pool great. Would use this caravan again and would recommend it.